Let me start by saying – what I really want from an e cigarette is for it to give me all the satisfaction that I got from smoking ‘the burners’ (in other words tabacco cigarettes) – but without all the downside: the coughing, the breathlessness & the bad smell lingering on me. International Vapor Group, the makers of this brand, who produced two of the two other brands around, Eversmoke and South Beach Smoke, created this product line. In a smart move they saw a clear need in the growing e-cigarette market for advanced personal vaporizers for vapers who wanted to take their vaping to a new level in the world of eGo-style batteries, mods and tank systems. An first impression of Vaporfi is that they emphasize the cleanliness of vaping over old style smoking. Their website http://vaporfi.com, is bright and has a clean white background, which captures the purity of their electronic cigarette products. When a brand decides to promote e cigs as a healthy alternative to smoking, this is the way to do it. You don’t have to do anything if you use the coupon link, just click through when you get to the site using that link it will automatically discount you 10% on checkout (but only on hardware – no discount on E Liquids, but still great eh?). Also, just because you follow the discount link above you are under NO OBLIGATION to actually buy anything at the site. A brand has to do more than get a clean-looking website together to sell its e-cigarettes to “savvy” customers. Their goods have to be worth buying. VaporFitakes the approach of creating starter kits, providing hardware but not with the e juice. They sell that separately (remember that whether you use the discount coupon or not). Once you know that and you know what is not included in each starter kit- then you are ready to go. 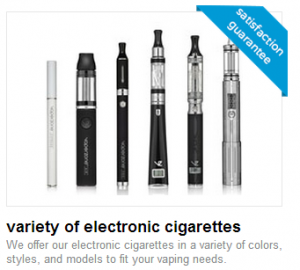 The six starter kits provide something for each customer’s budget, starting with a basic two-part e cigarette. They also have an excellent selection of advanced vaporizers. These are three of their APVs pictured here. This is where VaporFi really shines. They have an awesome line of Advanced Personal Vaporizer kits, from the Mini Air, which is really cool, and excellent for anyone looking for a vaping device that can be easily concealed away in their palms, to a number of mid-sized APVs, some with features such as variable voltage and puff counter…all the way up to the Rebel, with all the bells and whistles. They also carry an express kit for someone looking for a product that resembles the look and size of an actual cigarette. Firstly, the flavors are great. You can get a real cigarette taste, which is what you want right? Then there is the ‘vape’ (e cigarette smokers slang for a full rich draw of vapor). the vape is great with this one – and believe me not all the brands vape like this. When you draw in the vapor you get a real ‘lung full’ and that thick rich hit of vapor at the back of the throat. Without that you will never feel you are really ‘smoking’. Then there is the deal. OK, some people feel that the E Liquids should be included in the price of the starter kits – but keep in mind- VaporZone don’t over charge for any of their accessories, and while e-liquids aren’t included in the price of the starter kits, you CAN get 10% off using the Coupon Link above (which I had to request from them especially for my website – special deal as I think these guys are the standout) so you can put that discount to getting your first E Liquids to try out. This is the easy end of the range of Vapor Fi’s starter kits – hence the name, the express way to start testing out whether Vaping is for you.. If you get used to vaping with the Express kit you will start to consider yourself a “pro” which means you might want to move on to their next package, called – “The Pro”. This starter kit at $49.99 is a more powerful product, featuring just one more powerful battery. The Pro has a Pro L Cartomizer, three extra atomizers. Plus you get your membership card. Sold separately are the Atomizer heads, 10 different colored batteries, and matching BC cartomizers. So plenty of room to upgrade. The Air electronic cigarette looks like a cartridge holding graphite refills for a mechanical pencil! Pretty cool design. It appears simple at first, but turn the Air on its side, and instead of a cylinder you get a 3D ellipse. Yep, very cool. At $39.99 USD, an Air package includes one 350mAh battery and you can of course upgrade and get another. Intermediate and heavy vapers will find it runs out before their vaping day is done. A mouthpiece, USB charger, and the wall adaptor are all included at this price too. Lol, your own private Jet for $79.99. The Vaporfi Jet has a uniqueshape. When tank and battery are combined, it looks a cylinder that was shaped at the bottom into a triangle. The one 650mAh battery is included, a cartomizer, some atomizers, plus the regular chargers. This second one (Pulse) comes with two 750mAh, 3.7-volt batteries. This is the most powerful battery yet, and there are two batteries in the kit. Wham..! Futuristic design and thick vapor. Along with your usual charging devices, this one features a standing circular, cordless charger. It is a beautiful piece of engineering. For $119.99 you get a bit of a dream machine here. 1) Use the shorter in length 600mAh battery for a smallish e-cig that is not so out there in public, or go for making a statement by vaping with the long 2200mAh longer version. This is a telescopic mod. Mods that allow consumers to adjust battery ratings to such extremes are telescopic because they have to make allowances for different battery dimensions. As we said before, these kits don’t come with the E-Liquid, and some people have a bit of a moan about that, but consider the good deals Vaporfi do on all their accessories and the price of E-Liquids – and you should see that it’s not a big deal. First Up: Made In The USA. VaporFi gets top marks for its high quality, U.S.A.-made e liquids. Let’s face it, this is what you are actually VAPING – so where do you want to get your E-Liquids from?? 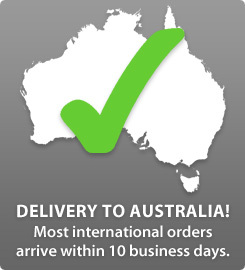 I know some places I don’t want to be getting my e-liquids from (any guesses?? Ch***). So I am really stoked that these come with E-Liquids made in the U.S.A. They are FDA-approved (read that again) , and well priced at $14.99 for 30ml. There are lots of flavors and there is the option to create a custom blend from two or three flavors, and this ends up with them having more possible flavors than anyone. Personally, I like just having “cigarette” tasting e-cigs, I have tried some of the sweet tasting flavors and it doesn’t do it for me, but some people love it. Their e-liquids contain up to 3.6% nicotine, above the usual maximum for e cig brands, so get the throat hit and nicotine kick you want from vaping. There are tobacco flavors, menthol and fruity flavors. As I said, I like the tabacco, and I quite like the menthol for a change, but I’m not really into the fruity flavors. Vaporfi does not overcharge for their accessories – that means a lot to me as it means they value their customers. Once they have your custom, some other companies want to take advantage by “upselling” lots of items you don’t really need at too high a price. Whereas, with VZ, t he zip carry case is $9.99 USD. Expensive? I don’t think so..Replacement chargers are available at decent prices for each e cig they sell.